A pair of shell grotesque panels. On the left, a female with black hammer oyster shell horns. Her forehead composed from a single fluted clam shell and her headress of blue coral, cut nautilus shells, whelk and sea urchin spines. On the right, a male with protruding tongue. 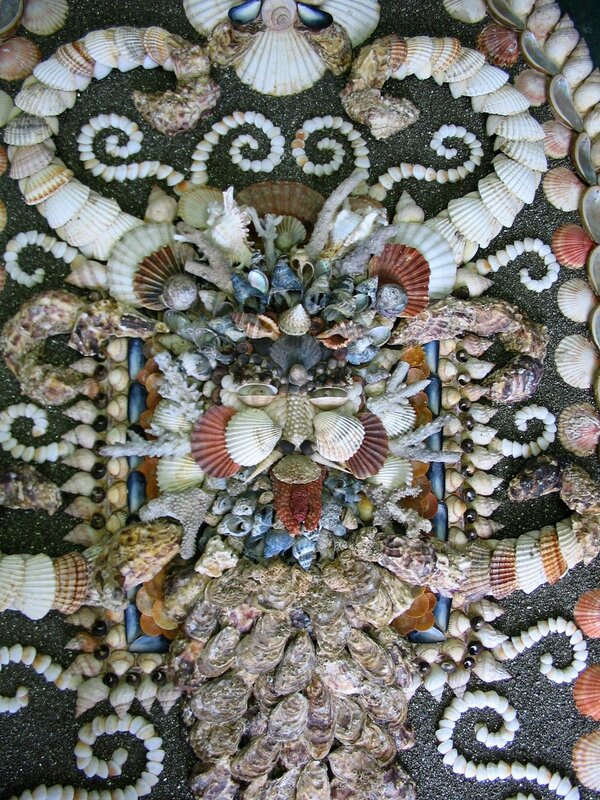 The head constructed from coral fragments, spider conches and noble scallop shells.